I rarely read a book more than once, but there are a few that I would go back to time and again, especially ones that inspire me to better myself. Over the years I've been lucky enough to pick up a few books by some fierce and inspiring women that I've loved and would never throw out no matter how crowded my bookshelf gets. Fair warning, there are no books on this list by Michelle Obama, Ariana Huffington or Sheryl Sandberg. These are women whose careers, lives and businesses are inspiring and the books they've written have inspired me personally in various ways. 1. #Girlboss by Sophia Amoruso is quite possibly my favourite book. I've not only read it twice, but I've also gifted it to pretty much every female entrepreneur I know. 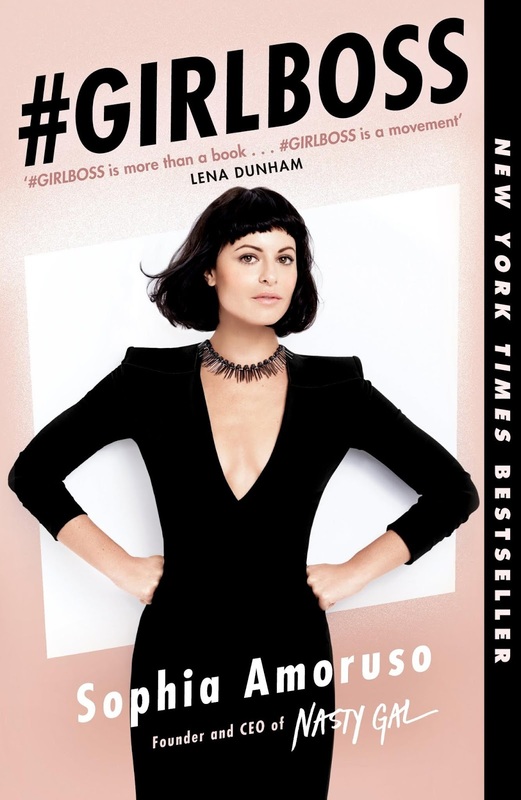 If you don't know who Sophia Amoruso is off-hand, you've undoubtedly seen the #girlboss hashtag on social media, heard of Nasty Gal, the fashion brand she founded or maybe you saw the short-lived Netflix series based on the book, but those recognitions aside, this is a must-read, particularly for anyone who runs their own business, plans to start a business or always wanted to, but feels afraid. Sophia Amoruso's story reads like a really good movie, so it never gets boring, even when she's detailing the in's & out's of venture capital meetings with big wig executives. The difference between Sophia Amoruso and most of the other inspirational entrepreneurs who've written memoirs is that she became so successful that she was named one of the richest self-made women in the world, but privilege wasn't something she had in the beginning. Her start in life included several school changes, an ADHD diagnosis, dumpster diving and shoplifting rather than an ivy league education or a coveted internship and her community college experience was primarily motivated by the health insurance it provided when she desperately needed a surgery she couldn't afford. Many of the stories of Amoruso's unorthodox business moves will possibly shock you, but it's a real-life story of hard work, determination, dedication and sheer will to succeed. Reading this book reminds me that it's important to be yourself at all costs rather than what's expected of you and that taking a risk can be rewarding. 2. Risotto With Nettles: A Memoir With Food by Anna Del Conte is not a book I expected to ever read, but I picked it up one day because she had been mentioned so many times by Nigella Lawson, who happens to be my favourite cookbook author. I bought this book and finished reading it in a rather short period of time because it's so compelling. Italian born and raised, Anna Del Conte is considered by many people to be the woman who brought Italian food and cooking to the UK, but her story is so much more than that. 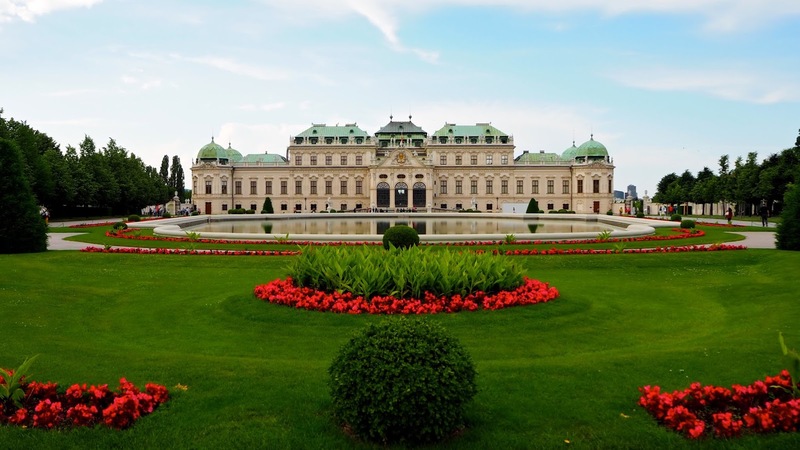 As a child before WWII, Del Conte enjoyed a life of privilege, but that didn't last long and it would drastically change the shape of her life. At a time when food was scarce, Anna Del Conte describes their life in a delicious way that only a true foodie could manage, explaining that if you have patience and know-how, you can eat well even when there are few desirable ingredients to hand. 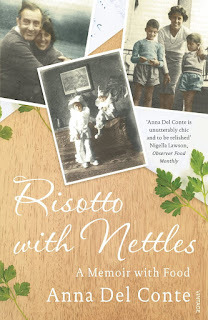 The book includes many recipes throughout that suit the stories being told including Risotto With Nettles, making it a more immersive experience whether you simply read them or decide to cook them yourself. Inspirational, resourceful and wildly successful, Anna Del Conte is one of the greats and her story of life in both Italy and Britain is nothing short of impressive as well as inspiring. 3. 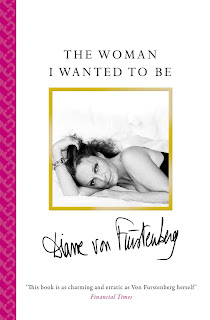 The Woman I Wanted to Be by Diane von Furstenberg is a memoir by a one-time real life princess who would later become the queen of American fashion. 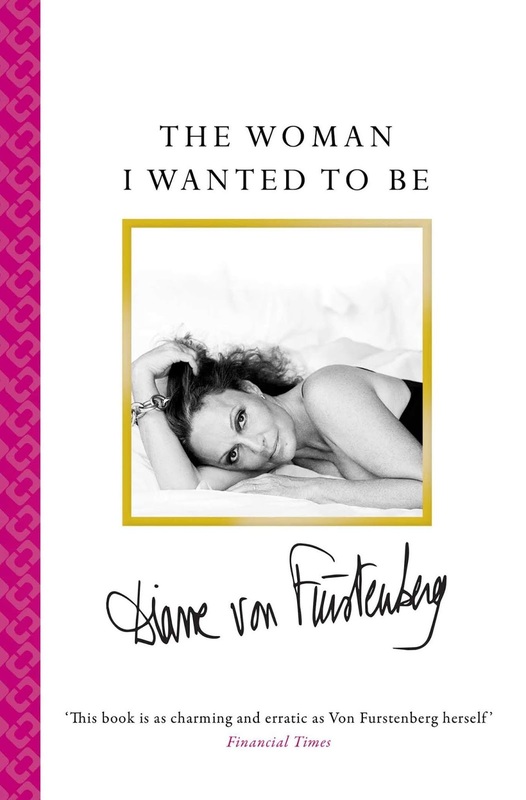 The champion of the iconic wrap dress, Diane von Furstenberg dishes out some serious realness in this book, details the triumphs and struggles of her long career in a challenging industry and gives some of the best advice I've ever read. It's convenient to think because of her privilege that DVF's fashion dynasty came easily to her, but things are not always as they appear and there are scores of lessons to be learned from her experience. Her tales of dressing everyone who was anyone in the 70's followed by the decline of her business and then her incredible comeback, this is one for anyone who loves fashion for sure, but also a good read for those who are simply interested in the ups & downs of running a successful business. 4. French Women Don't Get Fat by Mireille Guiliano is a book I read nearly 10 years ago that truly changed the way I feel about a lot of the details of day-to-day life. I've found over the years that this title when mentioned in conversation can raise a few eyebrows, but I can assure you that it's not as controversial as it sounds. Mireille Guiliano was the spokesperson for Veuve Clicquot for over 20 years, a senior executive at LVMH and also the CEO of Clicquot, Inc. before becoming an author, but long before she conquered those hefty titles she was a young girl who studied abroad in the USA for a year and came home having gained a bit of weight. This set into motion a plan that would shape the way she ate and viewed food for the rest of her life and if I'm honest, it's a whole lot better than any diet I've ever tried. 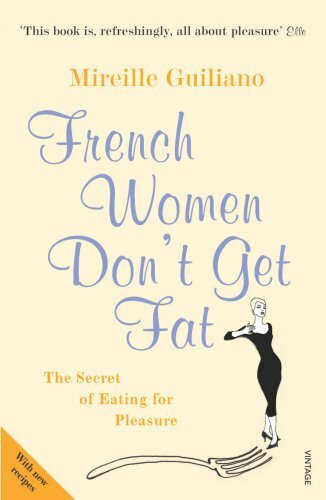 French Women Don't Get Fat is an in-depth look into how Europeans (particularly the French) think about food and why it's so enjoyable without sacrificing health or their waistlines. There is a plan in the book for weight loss and maintenance should you decide you want to try it, but I assure you that if you're not a diet person, there's no need to follow the plan to enjoy this book. I didn't do the diet plan, but I found my attitudes towards things like portion sizes, desserts and the overall enjoyment of food without suffering through the constant pleasure-denial of fad diets changed drastically and that needle hasn't moved much since I read the book almost a decade ago. I learned to spend more on less without guilt, to fully enjoy eating, to stop (most of the time) eating while doing something else and to find moderation. It's also enlightening to read about how such a busy woman maintained her figure despite having a pretty hefty workload and travel schedule. 5. Grace by Grace Coddington is a book that I think probably draws most attention because of the author's tenure at American Vogue, but it has so much more than that to offer. 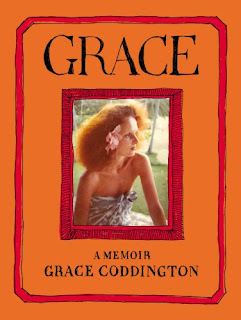 I found the chapters about Coddington's childhood in rural Wales long before she worked in the glamorous fashion industry the most inspiring because they gave a real insight into the kind of person she is, how resourceful she is and where her creativity comes from. That said, reading about a life as a fashion model in London, a trend-setter, an it-girl and later the Creative Director for what is arguably one of the most influential magazines in the world is pretty intriguing and inspiring as well. I couldn't put this book down and while Anna Wintour is the most notable shining star of the American fashion editorial world, Grace Coddington definitely deserves her place and offers a unique insight into the industry. Her life has been a fascinating one and her memoir is definitely one to read if you didn't grab a copy as soon as it hit the shelves a few years ago. 6. 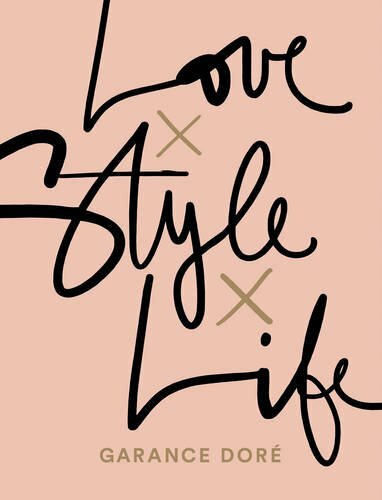 Love x Style x Life by Garance Doré is a beautifully honest book that captivated me from page one and I basically didn't put it down until I'd devoured every single word and image. Having been a blogger for a long time, I of course knew who Garance Doré was, but I didn't know much about her beyond her talent for style and illustration. Talking about her upbringing, her family, her work and life experiences and even her personal life, Doré's book is gripping as well as beautiful. She has a way of interspersing fun topics like hair length, styling, celebrity style and accessories with real-life wisdom, depth and a truly personal touch. Her approach to fashion and style are not vapid or silly, but inspiring as she explains how they can empower and be used as a strategy more than simply an excuse to go shopping. I absolutely love this book and find myself going back to it all the time when I need a little inspirational top-up. 7. My Life in France by Julia Child and Alex Prud'Homme is one of the best books I've ever read and admittedly, I never would've thought to read it if I hadn't seen the film Julie and Julia. If you aren't familiar with the story of Julia Child, it's pretty much as inspiring as it gets for female entrepreneurs or anyone really who's ever had a dream. 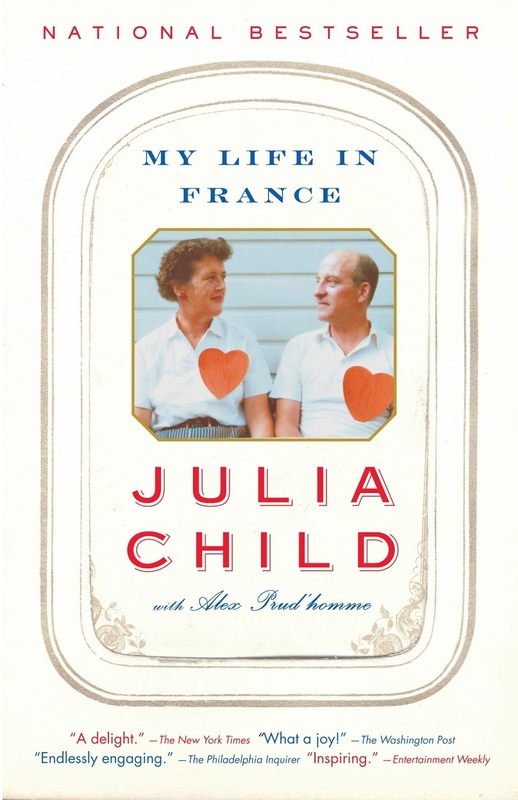 Julia Child was a government employee who was super tall, not incredibly attractive (at least by society's standards), married quite late, especially for the time and never had children. Upon moving to Paris, Julia fell in love with the food and began taking cooking courses which at the time was discouraged since most women had servants at home to do the cooking for them. Cooking courses were considered only acceptable for serious cooks, meaning chefs, which in those days meant men, yet when she tried to find French cookbooks in English there weren't any available. Julia Child cracked the glass ceiling, graduating from Le Cordon Bleu and began teaching cooking courses to American expats with a few friends whom she would later collaborate with on quite possibly one of the most influential cookbooks in history, Mastering the Art of French Cooking. All these years later it's unfortunately difficult to imagine many women starting a television career in their 50's... Back then it was even more-so the case, but she did it and has been credited for bringing French food and cooking to the American public. So much more than her accomplishments, Julia's outlook on life was refreshing. She was so tall that she had her countertops raised, her feet hung off the end of her bed and she struggled to buy dresses while living abroad, yet never complained. Her marriage was enviable because they were so in love and had so much fun together. She faced obstacles nearly daily, but found a way to stay interested and never lost her positivity or curious spirit. The way she describes food, locations and life in Paris is so infectious that it makes you want to book a flight. In short, it's hard to read this book without being inspired one way or another and if you're not already someone who enjoys cooking, it might just be the kick in the pants you need to get you keen on spending more time in the kitchen. 8. 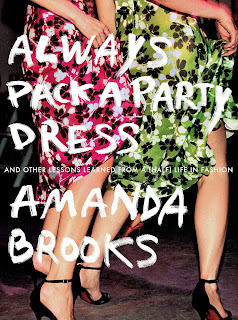 Always Pack a Party Dress by Amanda Brooks is a fun read by a woman who's had the fashion career we all envy. Formerly the Creative Director of Tuleh, she has also consulted some top brands including Chanel, DVF, Tory Burch and Tods. She was also Fashion Director of Barneys and has written for Vogue, The New York Times Magazine and The Wall Street Journal. Brooks has written three books and is a Contributing Editor for both Condé Nast Traveler (US Edition) and Architectural Digest. More recently she founded Cutter Brooks, a shop in the Cotswolds that in her own words "aspires to be a chic version of a 'country store' with carefully chosen things for your closet, your home and your hostess." In Always Pack a Party Dress, Brooks shares a lot of personal stories about her life along with photos from the time she was a young girl right up until the time it was written. 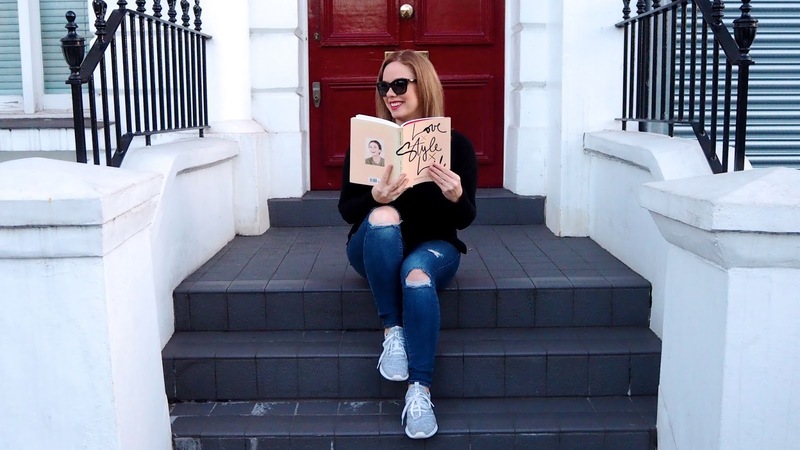 From forgetting a party dress on a business trip to meeting Mick Jagger to her fashion triumphs and fails, this book had me at hello and I couldn't stop reading it until it was over. There's a lot to be learned from the experiences of someone like Amanda Brooks and she has a real knack for storytelling, so it's a page-turner. If you love this one, I'd also recommend her first book, I Love Your Style. 9. 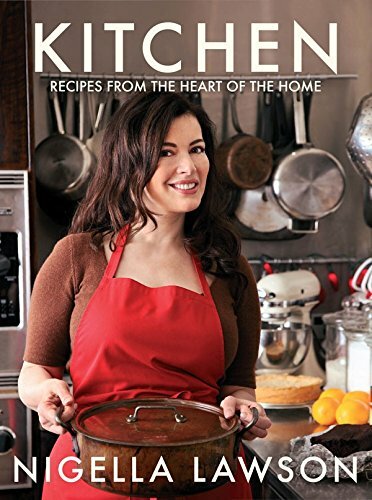 Kitchen by Nigella Lawson is a cookbook and no I'm not confused - I am actually recommending you read a cookbook, from cover-to-cover the way you would with a novel. Kitchen is probably my favourite cookbook and it's not necessarily because of the recipes even though many of them are among my favourites. I love Kitchen because it's the book that really made me want to cook, but also the book that made that easier for me by making me want to actually be in my kitchen, a place I'd quite happily avoided at all costs before reading this book which can only be described as Nigella's love letter to her favourite room in the house. I always read my Nigella books from start to finish for a couple of reasons. Firstly, she has a lovely way of describing food and telling stories about it such as where she got her inspiration or when she like to enjoy a certain recipe and what she might serve with it. Possibly more important depending on who you ask, she also explains a lot in the texts of her book, such as substitutions, ideas for amending the recipe, cooking explanations, tools you'll need or what to do if you can't quite get what she's suggested. In Kitchen however she really does break down the anatomy of a kitchen and to say it's inspiring is an understatement. It made me want to get into my kitchen straight away and following the last page of this book, that's exactly what I did. I reorganised my kitchen and made it more user-friendly, got rid of the clutter and in turn, made it more desirable. Following that, I had some lovely new recipes to try that are all strictly based around the idea that the kitchen is the heart of the home and that cooking is an act of love for the people you enjoy having around you. I love this cookbook and refer back to it all the time, but not just for the recipes. 10. 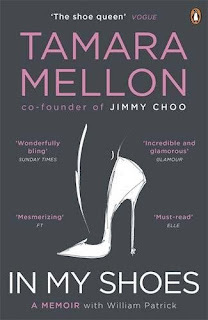 In Her Shoes by Tamara Mellon is the memoir of the co-founder of Jimmy Choo and truth be told, I'm still reading it as I write this, but honestly I'm confident enough in what I've already devoured to go ahead and recommend it before I finish. As one might expect, Tamara Mellon has some stories to tell about starting a global shoe empire, but it's her charming, down-to-earth approach that makes this book relatable. She talks about everything from finding venture capital investment to rehab to fashion, so it's a good romp and obviously an inspiring journey since you can't miss seeing Jimmy Choo's on the most fashionable feet no matter where you go! What books by inspirational females have you been reading lately? If you have any favourites, please leave your recommendations in the comments below.